Last year, the Israeli military said bases near al-Kiswah were used by pro-Iranian militias. An Iranian weapons depot at the airport was targeted in an airstrike a week and a half ago, Israel said. Jamraya, which has also allegedly been attacked by Israel in the ast, is thought to house a military facility and scientific research center. This would be the largest pro-Iranian military increment into Syria since the Hizballah intervention of 2014 – and Tehran’s rejoinder to Israel’s warnings. The 10,000 troops massed on the Iraqi border belong to the large Iraqi Popular Mobilization Units (PMU) aka the Hashd Al-Shaabi militia, DEBKAfile’s military and intelligence sources report. They have been ordered to stand there by Iran’s Middle East commander, Al Qods chief Gen. Qassem Soleimani. Their commander is one of his deputies, Mahdi al-Muhandis, an Iraqi of Iranian descent. This Iraqi force awaits a green light to cross into northern Syria from President Bashar Assad. It is intended to be Tehran’s response to Prime Minister Binyamin Netanyahu’s “advice” to Iran to “hurry up and get out of Syria” ahead of the IDF’s action. Soleimani has responded by “hurrying up” to top up Iran’s forces in Syria, before Lt. Gen. Aviv Kochavi has had three days to settle into his new job as IDF’s Chief of Staff. Turkey’s military agreement with Qatar is full of loopholes and vague terms that appear to have been deliberately inserted, according to a report by the Nordic Monitor, a Sweden-based monitoring site. 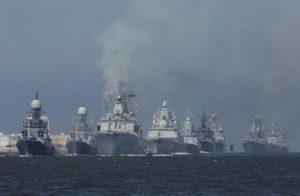 The report by Abdullah Bozkurt, reveals that the bilateral agreement would allow Turkish President Recep Tayyip Erdogan to use Turkish air, land and naval assets to promote his own ideological and personal interests in the Gulf and beyond by using the hard power of the NATO military alliance’s second largest army. “If not checked, the agreement carries huge risks of escalation of Turkey’s involvement in potential conflicts that may have nothing to do with protecting or promoting Turkey’s national interests. This further confirms the view that the vagueness in the agreement provisions were deliberate and systematic to allow Erdogan to use them as he sees fit,” writes Bozkurt. The agreement goes beyond mere training and joint exercises and also incorporates “operations,” which may very well suggest combat missions for Turkish troops. Article 4 of the “Implementation Agreement Between the Government of the Republic of Turkey and the Government of the State of Qatar on Deployment of Turkish Forces into Territory of Qatar,” which was signed on April 28, 2016 in Doha, includes the undefined phrase “any other missions” for the deployment of Turkish troops. This means Erdoğan can also bypass the Turkish Parliament for authorization of overseas missions, using the vague definition to fit his whims and would not need to obtain the advance approval from Parliament that is required for the deployment of Turkish troops abroad according to the Turkish Constitution. What “the long term” prospect is and who defines the duration of the commitment for Turkish troops and on what criteria are not specified in the agreement. Article 17 specifies the duration of the agreement to be 10 years with automatic renewals for an additional term of five years for each extension. Whether that term applies to the presence of troops remains an open question. This implementation agreement is actually a follow-up of the “framework” military cooperation agreement that was signed by the two countries on December 19, 2014, and entered into force on June 15, 2015. In contrast to the framework deal, the implementation agreement gives detailed clues as to what Turkey and Qatar hope to accomplish in the Gulf. Turkey considers ties with Qatar to be strategic, and Turkey’s Erdogan and Qatar’s Emir Sheikh Tamim bin Hamad Al Thani in 2014 set up a High-Level Strategic Council (HLSC), an intergovernmental mechanism that brings together most ministers at summits led by the heads of state and government. The IDF destroyed a cache of Iranian Fajr-5 missiles stored in a weapons depot near Damascus this evening that had the potential to threaten the area surrounding the Galilee, according to Israeli news agency Nziv.net. A second report released by Nziv, says that a delegation of senior Hezbollah figures who arrived in Damascus came under Israeli attack during the airstrikes. 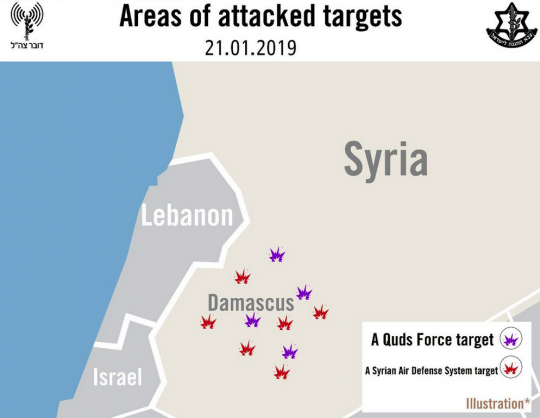 Israel’s air defense system – likely the Arrow – was activated late Tuesday night against a Syrian anti-aircraft missile, following an alleged Israeli air strike over the capital of Damascus. Media reports claimed that Israel struck weapon warehouses near the Syrian capital. FROM THE JPOST: According to unconfirmed Israeli reports, the launch was carried out from the northern city of Hadera, with pictures published on social media of a large tail of smoke heading into the sky and residents in the Hefer Valley Regional Council also reported hearing the sound of loud explosion. It is still unclear whether any Syrian missiles were intercepted from the IDF’s reported perspective. Syrian state media reported Tuesday night that regime air defenses intercepted “hostile targets” west of Damascus during an alleged Israeli air strike, which according to local reports involved 22 missiles targeting sites including weapons depots belonging to pro-Iranian militias in Damascus. Other locations reported by Syrian media to have been struck during the strike are as follows: pro-Iranian military positions located in the suburbs of Damascus, air defense facilities and headquarters of the 68th Brigade and the 137th Brigade of the Syrian Army in the Damascus area, a military headquarters belonging to the 4th Division of the Syrian Army in the Al-Muna area surrounding Damascus and military Unit 10 in the district of Qatana. The IDF destroyed a cache of Iranian Fajr-5 missiles stored in a weapons depot near Damascus this evening that had the potential to threaten the area surrounding the Galilee, according to Israeli news agency Nziv.net. A second report released by Nziv, says that a delegation of senior Hezbollah figures who arrived in Damascus came under Israeli attack during the airstrikes. According to the Jerusalem Post’s sister publication Maariv, the official Syrian news agency SANA reported that a Syrian military official claimed, “Israeli air force planes attacked tonight, most of the missiles were intercepted before hitting targets.” Later is was reported that three Syrian soldiers were wounded and that an ammunition depot was damaged in the attack. Several people on the ground filmed the rockets shooting skyward, thought to be S-200 air defense, which is the main system Syria uses. Locals reported debris and missile strikes near Dimas, Qatana, Saboura and near Mazzah all west of Damascus. Some of these areas have been targeted in the past. In September, Syrian air defense shot down a Russian Il-20 during an Israeli air raid in Latakia and Russia blamed Israel for the mistake. Since then the number of incidents in which Syria has alleged Israeli air strikes has decreased. Syria was given the S-300 more advanced system by Moscow, but it is not clear if the system is operational. Earlier on Tuesday, Lebanese media reported that Israeli Air Force jets had been circling over the southern part of the country before the strike on the Syrian capital. KAN reporter Amichai Stein wrote that this is a “possible strike in west Damascus…heard all across the city.” Israeli media cited accounts of eyewitnesses who claimed to see a column of smoke in the air over Hadera. Additional reports were cited of people hearing loud explosions in northern Israel. Tehran Sinking Into the Earth: Divine Retribution? Scientists warned that Iran, the arch enemy of Israel, is in danger of suffering a fate explicitly described in the Bible as being reserved for the evil: being swallowed up by the earth. Though it is impossible to ascribe divine intentions onto such events, some rabbis emphasized that such a phenomenon requires an attempt to understand God’s will. Satellite images recently revealed that Tehran, the capital of Iran, is sinking into the earth at a rate of 10 inches per year. Geoscientists Mahdi Motagh and Mahmud Haghshenas Haghighi from the GFZ German Research Centre for Geosciences in Potsdam used satellite data to monitor subsidence across the Tehran region between 2003 and 2017. Their study, reported in Nature magazine, determined that roughly 10% of the city is affected, as well as areas adjacent to the city. Part of the cause is the drying up of aquifers for agriculture and drinking water for the city’s 13 million residents. Nature reported that fissures several miles in length and several yards deep have opened up in the land to the southeast of Tehran. Such fissures endanger railroad tracks, roads, bridges, oil and gas pipelines, high-voltage electricity lines and buildings. It also disturbs irrigation, sometimes making agriculture impossible in previously arable regions. Another sinking zone is threatening to engulf Tehran’s airport. Though this phenomenon referred to as ‘subsidence’ is a problem in many parts of the world, Tehran is among the worst cases. Efforts to restore the aquifers have been hampered by illegal wells, droughts and large dams which prevent the underground water sources from being replenished. Researchers fear that the effects are irreversible and the ground has lost its porosity. Rabbi Pinchas Winston, a prolific end-of-days author, believes Tehran’s dilemma is clearly divine intervention but added a strong disclaimer. Without usurping God’s role as judge, Rabbi Winston believes that the hand of God can frequently be revealed by a close inspection of history. He noted that even without taking into account God’s wrath for Iran’s treatment of Israel, their difficulty could trace to their relations with the Holy Land. “The Iranian people are victims of a cruel and tyrannical regime that denies them vital water. Israel stands with the people of Iran,” the Israeli Prime Minister said at the time. This sentiment of helping the people of Iran, despite the intent of the regime to destroy Israel, was also addressed by Rabbi Nir Ben Artzi, an Israeli mystic with thousands of followers. In his weekly sermon last week, Rabbi Ben Artzi emphasized that God operates in the world via nature. This was particularly true of Iran, the rabbi said. “Every time Iran rises up against Israel, it will get hit by Hashem (God, literally ‘the name’),” Rabbi Ben Artzi said. “Hit hard,” he emphasized. But Rabbi Ben Artzi noted a difficulty with ascribing divine wrath focused on Iran. Rabbi Yosef Berger, the rabbi of King David’s Tomb on Mount Zion, believes Iran’s current difficulties are a clear message their government should heed. He noted that this was the case with the Biblical story of Korach in the desert, who spoke out against Moses and Aaron. The IDF launched Operation Northern Shield overnight on Monday to expose and destroy cross-border attack tunnels built by Hezbollah, a proxy of Iran, along the Lebanon border and into northern Israel. The operation will be led by Strick and will include troops from the Combat Engineering Corps, the Intelligence Branch, as well as the Defense Ministry’s Administration for the Development of Weapons and Technological Infrastructure (MAFAT) will take part. The IDF destroyed a Hezbollah tunnel that penetrated into Israeli territory south of the Lebanese village of Kfar Kila, the IDF Spokesperson’s Unit announced in a statement Tuesday, launching Operation Northern Shield to protect Israel from cross-border tunnels dug by Hezbollah. Since 2012, terror group Hezbollah has had a plan they call ‘Conquering the Galilee‘, and it is basically what you would think it is. It is the endless and ongoing operation by Islamic terrorists to drive the Jews into the sea, and destroy Israel once and for all. Now obviously Hezbollah forces are no match for the Israeli army in an all-out war, not even close. But they don’t fight all-out war, they engage in guerilla-style warfare. One of the sneakiest and most deadly tactics Hezbollah has are the far-reaching underground tunnels that allows them to travel undetected behind Israeli borders. Once there, they pop up out of the ground and being killing Jews. Late last night, Israel launched ‘Operation Northern Shield’ with an amazing array of tunnel-busting weapons and machinery designed to neutralize the ability of Hezbollah to attack Israel from beneath. The Lebanese army has been placed on high alert as Operation Northern Shield begins. FROM THE JPOST: The 2×2 meter tunnel started in a home in southern Lebanon and stretched some 40 meters into Israeli territory, but did not represent an imminent threat to residents in the area, the IDF said. It was built starting from a home in Kfar Kila and took two years to build and had running electricity, the army said. “The digging of the cross-border attack tunnels that the IDF has discovered, before the attack tunnels became operational and posed an imminent threat to the safety of Israeli civilians, constitutes a flagrant and severe violation of Israeli sovereignty,” said IDF Spokesperson Brig.-Gen. Ronen Manelis. The objective of the operation is to expose and neutralize all Hezbollah attack tunnels which have crossed into Israeli territory. 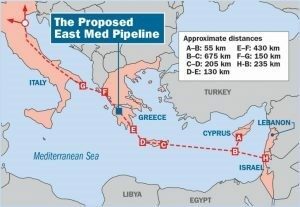 The operation will take place all along the “Blue Line,” the name for the international border between Israel and Lebanon and strictly within Israeli territory. IDF Chief of Staff Gadi Eizenkot held a situational assessment in Metullah with OC Northern Command Maj.-Gen. Yoel Strick, the army said. The IDF has sent a message to UNIFIL and the Lebanese army that anyone who crosses into Israel risks their life. The IDF said it will not allow anyone to cross into Israel and called on UNIFIL to enforce UN Resolution 1701. The IDF launched Operation Northern Shield overnight on Monday to expose and destroy cross-border attack tunnels built by Hezbollah, a proxy of Iran, along the Lebanon border and into northern Israel. The military stated that a number of areas close to the security fence with Lebanon, including Metula, have been declared a closed military zone and that it has beefed up troop numbers in the Northern Command ahead of all possible scenarios. No reservists have been called up. DONALD Trump’s administration could slap Turkey with more sanctions over a decision by Ankara to deploy an advanced Russian missile system on Europe’s doorstep, Turkish media reports. The United States has repeatedly warned Turkish President Recep Tayyip Erdogan not to go ahead with a purchase of the S-400 surface-to-air missile platform amid concerns it could be used to target the new F-35 stealth fighter. But it emerged in September that Turkey had begun work on a launch site to accommodate the Russian-made weaponry. Turkey insists the missiles are not a threat to American jets, but US officials are “not optimistic” over Ankara’s assurances, according to Turkish news agency Anadolu. But the source added negotiations between Washington and Ankara over the issue are “continuing”. The S-400 is touted as one of the most advanced systems in the world and is capable of engaging multiple aerial targets within its 250 mile range. It is designed to knock incoming ballistic missiles out of the sky before they reach their target and can also target stealth warplanes – including the new F-35 fighter. Turkey is due to receive two F-35s in the near future ahead of a further order which will eventually see the country take delivery of 100 of the high-tech jets. But experts have warned the planes, combined with the S-400 missile system, could allow Russia to analyse the stealth technology fitted to the plane. NATO countries have also expressed concerns over Turkey’s S-400 purchase because it is incompatible with equipment used by the Western alliance. Relations between Ankara have Washington improved slightly in recent weeks following the release of American pastor Andrew Brunson who was being held in Turkey on terrorism charges. President Donald Trump had slapped Turkey with tough sanctions after a deal he struck with President Erdogan to secure Mr Brunson’s release fell through. However the ongoing row over the S-400 threatens recent progress between the two nations. Russia has previously said it plans to deliver the new missiles in 2019.